FACING criticism for closing down the national highway connecting Jammu with Srinagar, the Union Home Ministry took refuge in statistics to claim the ban was for only 15 per cent of total weekly hours. 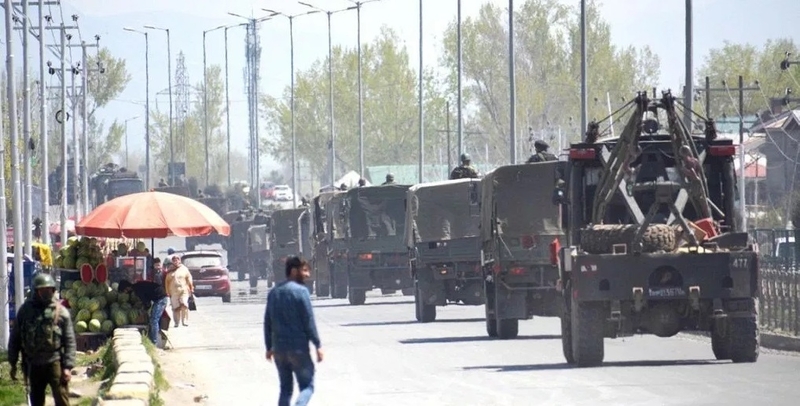 Underlining that the ban became necessary in the backdrop of the Pulwama terror attack, it issued a statement on Wednesday and said the step has been taken for ensuring safe movement of forces till May 31. The statement comes at a time when the ministry has to file its reply to the Jammu and Kashmir High Court which has directed it to respond by April 19 to a bunch of petitions challenging the decision. In its statement, the ministry gave statistics in its defence stating the total duration of prohibition is for 24 hours out of 168 hours in a week, which amounts to only 15 per cent of the time. “While regulations for movement of civilian traffic were already in place during convoy movement, the state government has now come out with a planned movement of security forces on the national highway for a short duration -- up to May 31, 2019,” the ministry statement read. Political parties held protests against the ban on April 7 as well as Wednesday. Former Chief Minister Farooq Abdullah has termed this order as a reflection of a BJP-led mind set of turning Kashmir into a colony like British-era.